No doubt, your passion is one of the most important things to factor in when planning to start your online business. But it’s NOT the most important; there’s a much more important factor that will determine whether you’ll ever make money online or not. 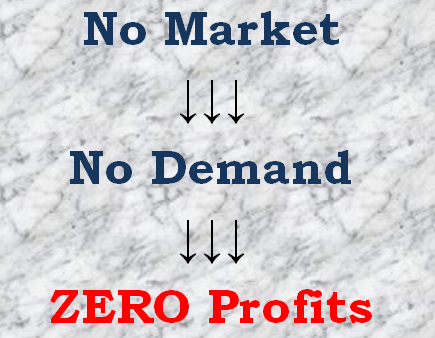 And that’s… availability of a market. Your main aim of going into online business is to make money. But, ironically, your passion isn’t what you need to achieve that aim. What you need is a market — a big one. Is there a market for what I want to offer? If you’re convinced that there’s no market for your offer, then consider offering something else that many people are interested in. Why? Because the market — not your passion — is what will fetch you money. For example, if you’re skilled in bead making and have a strong passion for it, starting a blog that teaches every aspect of that craft might sound like a great idea. But in reality, it’s a bad idea because there’s no market for it. In other words, such a blog won’t attract traffic because most people are not interested in bead making, and only very few people will ever think of searching the web for information about bead making. So, even if you consistently churn out loads of quality content and promote it aggressively between now and the next four years, you won’t make a dime with that blog! Similarly, if you’re a graduate of Civil Engineering and are passionate about anything related to building construction, you’d probably jump at the idea of crafting an e-book that reveals the intricacies involved in the construction of magnificent buildings. That’s wonderful information, no doubt. But nobody is interested in it. You won’t sell a single copy in seven years! So, whether you’re looking to start a blog, publish an e-book, market affiliate products, or sell physical products, the most important factor to consider is the availability of not just a market, but a market that is big enough to fetch you decent profits. Before starting any online business, you need to check if people are searching the web for what you plan to offer. You also need to check if people are willing to pay for that offer if they find it. If your offer ticks both boxes convincingly, then you can go ahead. But if it doesn’t, offer something else! If you’re looking to target a Nigerian audience, read this post, in which I’ve detailed 27 online business ideas that offer what many Nigerians are desperately searching the web for and are willing to pay for. On a final note, if you’ve chosen an online business idea based solely on your passion without, you need to analyze the market for that idea now. If the market isn’t encouraging or there’s no market at all, ditch that idea and choose something else! It’s never too late. In April 2014, I published a post on Google Adsense, in which I went into details of how the program failed to meet up to my expectations when I tried it out on one of my blogs, NGFR. And I gave figures that could discourage anyone from the program. It’s 11 months since I published that post, and I’ve made some discoveries that have prompted me to retract some points I made in that post. In my last post, I stated how that same blog has grown significantly between April 2014 and now. And I promised to reveal how exactly the blog makes money. Well, the secret is… Google Adsense! When I-Jay (read the last post to know who he is) came on board, he didn’t just put money on the table. He already has an Adsense account, and he suggested we put up Adsense ads on the blog pending the time we’ll grow it big enough to start attracting advertisers (that was our original plan). I almost dismissed the suggestion due to my experience with Adsense, but sometimes you just have to respect other people’s views and ideas especially when it comes to business. That was how I floated Adsense ads on the blog the second time. But this time around, I-Jay gave me full access to the account, and I was in charge of creating the ads and tweaking them to match the blog. We started running the ads on November 4, 2014. At the time, the blog was attracting about 2,500 daily visits. We kept experimenting with different ad sizes and placement positions until we arrived at the arrangement that seemed to generate most clicks and earnings. At the end of November 2014, we earned $128. That was far more than I ever expected! During my first experiment with Google Adsense, my friend who owns the account I used didn’t grant me access to the account. He only created an ad himself and slapped it up in two positions on the blog. But this time around, I had full control over the whole stuff, and that’s why we earned far more. By December 2014, we had published a lot more articles on the blog, and this increased our traffic and earnings. We earned $9 per day on the average. And at the end of that month, we earned $291. In January 2015, with more articles published and even more traffic, our average daily earnings increased to $12. And our total for the month was $361. Then came February 2014, when our daily earnings increased to about $15. At the end of the month, we totaled $434. 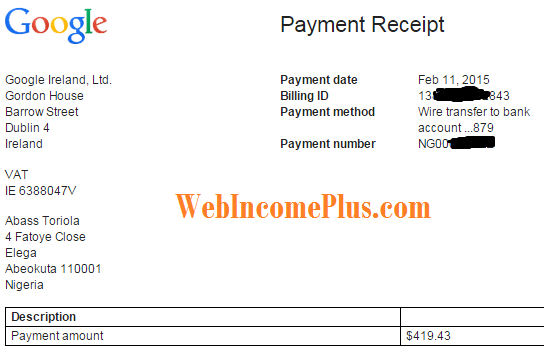 So, between November 2014 and February 2015, Google Adsense fetched us a whopping $1,216 (about N233,000). And since our earnings keep increasing by the month, we can only expect more in subsequent months. 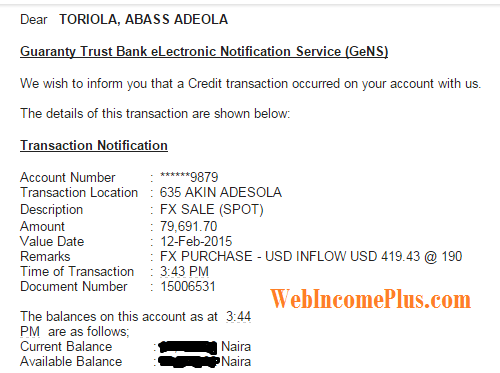 Email notification from Access Bank after transfer of second payment ($362). We had to switch to Access because we had issues with GTB. Because NGFR had started generating a decent income from Google Adsense, we’ve decided to leave it as the blog’s primary monetization strategy for now. Though the main monetization strategy in our original plan was selling advert space directly to advertisers, we later figured that we’ll need much bigger traffic to make that happen. And even at that, selling advert space isn’t very reliable because there’s no guarantee you’ll get offers from advertisers all the time. 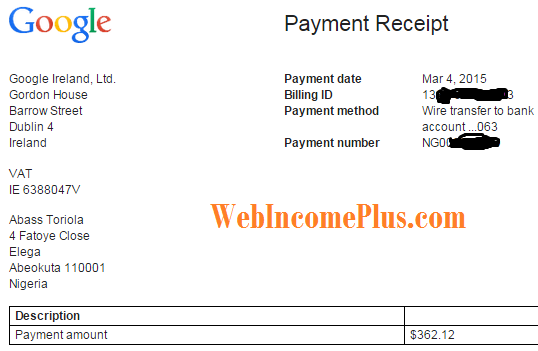 So, can you really make a decent income from Adsense? Well, now I’d say an emphatic “yes”. But one condition still applies: you need huge traffic. However, contrary to what I stated in that old post, you don’t really have to target a global audience to earn good money through Adsense. 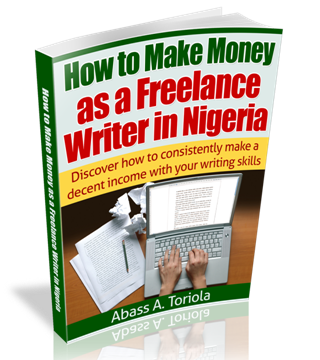 Even with a blog targeted solely at Nigerians, you can get attractive monthly paychecks from the program. Does this make Adsense the best monetization strategy? No! Affiliate marketing and information marketing are far better monetization strategies than Google Adsense. Why? Because either of them places you in total control, and to make a decent income from either option you don’t have to generate as much traffic as you would need for Adsense. Remember, with Google Adsense you’re at the mercy of almighty Google. If your account gets banned for any reason, there’s nothing you can do about it. You’re just not in control. But not so with other monetization strategies. 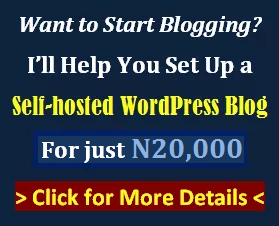 With Google Adsense, you can earn a decent monthly income from your blog, even if it caters to a Nigerian audience, though you would need huge traffic to get to that level. However, the downside to Adsense is that you’re really not in control; Google is your boss, and you might fired anytime! But I have to admit now that Google Adsense really makes sense. Grow your traffic and you’ll get well paid. Do you have any questions, contributions, objections, or opinions? Share your thoughts by leaving a comment. If you’ve read this post on Google Adsense, you’d have known that I have a blog aside this one you’re reading that also caters to a Nigerian audience. For some reasons, I don’t want to reveal the name of that blog. But throughout this post, I’ll refer to it as NGFR. I created NGFR in April 2013, and as at one year after its launch it was attracting over 1,200 daily visits — with less than 50 posts published. Thanks to keyword research and search engine optimization. 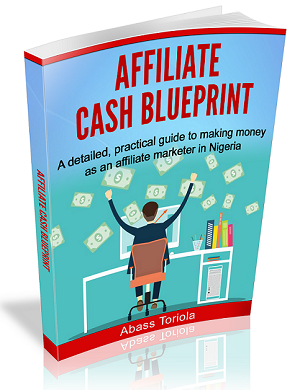 When I noticed that amount of traffic, I tried monetizing NGFR through various methods, including contextual ads (Adsense, Ad Dynamo, and Promo Nigeria) and direct sales of ad space to interested advertisers. However, I didn’t achieve success with any of these. For months, the blog continued to generate 1,200+ daily visits, but I couldn’t make good money from that traffic. At a point, I got confused as to what do with the blog. I put it up for sale on Nairaland, but no one showed interest. Then I dumped the decision to sell the blog, and I planned to keep and grow it, instead. I had no doubts that if I could boost the blog’s traffic to at least 10,000 daily visits, I’d be able to make money consistently with those same monetization options that have failed me in the past. So, I sat down to brainstorm for ideas on how to grow the blog. I conducted keyword research and generated hundreds of promising keywords. I knew for sure that if I could craft fine content around each keyword, the blog’s traffic would blossom with time. My next step was to write posts around those keywords. I planned doing that gradually until all topics in my “pool” are exhausted. But I never found time for that. Client assignments, my academics, family matters, and other commitments couldn’t avail me the extra time I needed to write the posts. All I could add to the blog over the next six months were less than 10 posts. Despite that I was too busy to act on my plan and couldn’t do much to grow NGFR, the number of visits increased gradually to 2,000+ daily visits and 70,000+ monthly visits. Sadly, however, this increase in traffic didn’t fetch me a kobo. In October 2013, I stumbled upon a post on Nairaland, in which the poster stated his intent to invest in any promising web-based business. Seeing that as an opportunity to grow NGFR, I quickly pitched him my original idea (which was to build a high traffic blog through the power of keyword research). I stated how much I’d put into the project already, and how much traffic the blog was generating at the time. I also told him my plans to grow the blog, and how his investment can help achieve the goals. Fortunately, the guy (I-Jay is his nickname) became interested in my blog. We fixed an appointment, and he paid me a visit at my place in Lagos. We agreed to hire freelance writers to create content around all the keywords I’d generated. We also discussed other ideas on how to grow the blog. The following week, I-Jay released about 30% of the money I requested from him, and we outsourced the first batch of articles (about 120 in all). We planned publishing the articles gradually over the next two months, and then pay for more if necessary. Let me tell you a bit about I-Jay: He’s a cool guy who works as a database administrator with a software development firm in Lagos. He’s fun to be with and very understanding. He’s just two or three years older than I am, so we interact like friends. And we got along easily and quickly. 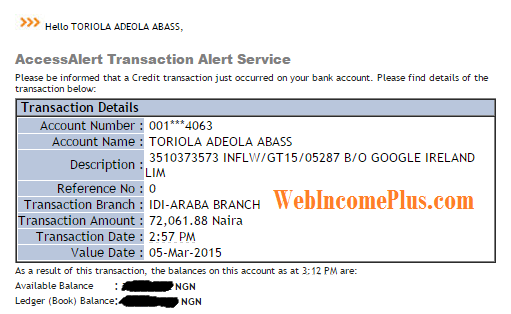 Fast forward November 2014, the blog started generating income, fetching us $128. And since then, the figures have been increasing every month ($291 in December 2014, $361 in January 2015, and $434 in February 2015). Now, I’m loving it. And I-Jay is loving it, too. Between November 2014 and February 2015, we published 241 articles. And as at the time of this writing, NGFR’s traffic has increased to about 4,500 daily visits, over 100,000 monthly unique visits, and about 400,000 monthly page views. We’re moving forward. Without I-Jay coming into the picture, I doubt it if the blog would have moved forward one inch. Now, what should you learn from all these? 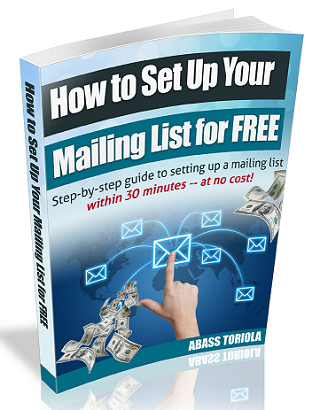 There are times when you’ll have all the knowledge and ideas you need to make money online, but you won’t have the time or money required to implement your strategies. Similarly, there are times when you have the time and money, but you won’t know jack about how things work in online business. What you should do in such instances is to find someone who has what you’re lacking, and pool resources together with that person. That way, you’ll be able to achieve your goals rather than have your ideas rusting away in your brain or notepad. In my own case, I knew the strategies that would work, but didn’t have the time to implement them. The other option I had was to pay people to write the content, but I didn’t want to do that. I-Jay, on the other hand, had some money to invest, but has no idea where to invest it. He came on board, dropped the money for content outsourcing, and we’re now getting the results. 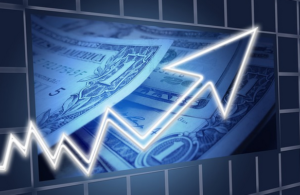 Now, he has realized his investment on the blog, and subsequent earnings would be his profits. If you’re unable to implement your great online business ideas because you have no time or money, or you’re have some money to invest but don’t know how to go about it, then find someone else who has exactly what you lack and pool your cards together. That way, you’ll achieve great goals within a short period. Although this recommendation won’t work for everyone because we humans are just complicated. But if you think it will work for you, give it a shot! Do you have any contributions, objections, or questions? Share your thoughts by leaving a comment. I’ll reply. And… don’t forget to share this post with your friends and colleagues.